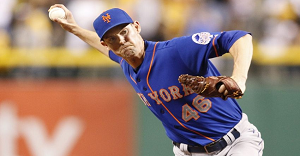 Greg Burke started his professional career in the Atlantic League (Atlantic City) right out of Duke University in '05, and went on to pitch in 80 major league games for San Diego and the New York Mets. Now this seasoned right-hander, a native of Camden who is with Toronto's top farm club in Buffalo, is in position to look back and share some of his thoughts. Asked recently by The South Jersey Times if he could do it all over again what might he do differently: "I would have worked a little harder in the weight room in college. I was a skinny kid after (high) school and didn't 'buy in' to the training aspect of baseball until my third year of professional ball. No coincidence, I had one of my best years following that off-season. I think I would have been drafted high out of college if I hit the weights a little more consistently, which would have hopefully pushed me through the minor leagues faster." Burke also had advice for both youngsters and their parents, many of whom schedule their kids heavily for baseball games and practices: "Let your kids be kids! Sign them up for as many sports as they want to play. Don't worry about playing for 3 teams at once with travel, club, local, etc. Pick one team at a time. If your child is good enough to 'make it', he will! Remember that the main focus of sports is for the kids to have fun and make memories." The 6-foot-4 hurler is having an outstanding season with Buffalo. He had a rare bad outing August 11(four earned runs), but has bounced back to allow only one hit in 6.1 scoreless innings in his last three appearances to whittle his ERA back to 2.11. Burke has a 5-1record in 44 games, allowing a stingy 40 hits and 14 walks in 55.1 innings while striking out 64 International League hitters.